Coaches and judges who are members of British Gymnastics receive the benefit of Legal Liability and Personal Accident insurance to provide protection whilst participating in our sport. What is Legal Liability insurance? This is a type of insurance which provides indemnity against legal liability, including legal defence costs and damages, incurred through your actual or alleged injury to other people or damage to other people’s property. This includes the professional advice you give whilst coaching any BG gymnastics discipline or activity in a BG recognised environment, provided that the activity falls within the remit of your BG approved training or qualifications. Cover is provided up to a maximum of £15m. It will even protect you worldwide if you travel abroad on a trip agreed and approved by BG. Personal Accident insurance provides a fixed benefit payment if you sustain a specific injury whilst taking part in a recognised gymnastic activity, in a recognised environment, anywhere in the world. The Personal Accident insurance is a 'non-fault' benefit which means insured members will receive the appropriate payment regardless of the cause of the accident, with no need to resort to litigation or prove negligence first. Please note that if you are a Gold Member, you may be eligible for further weekly benefits following temporary total disablement. Click here to read more about the range of benefits available. British Gymnastics' insurance provides cover to clubs, coaches, members and officials when taking part in recognised activities within recognised environments. 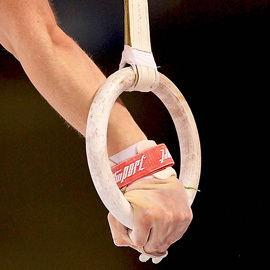 British Gymnastics is an Introducer Appointed Representative of W Denis Insurance Brokers PLC, Brigade House, 86 Kirkstall Road, Leeds, LS3 1LQ (Tel 0113 243 9812) which is authorised and regulated by the Financial Conduct Authority. W Denis FCA Register Number is 309047. You can check this on the FCA's Register by visiting the FCA's website or by contacting the FCA on 0845 606 1234. W Denis is registered at Companies House in England and Wales under Company Number 00759111.